Last week we brought news of Lark Distillery's intention to acquire Old Hobart Distillery & its Overeem products, an acquisition which we understand has now gone through. Fitting, then, that the next "Tasted" post is an Overeem whisky. Specifically their new (and for the time being, limited) Bourbon Cask Matured release. Until now, Old Hobart have had a core range of only 4 expressions - Port and Sherry matured, in both 43 and 60% guises. They've also had limited runs of other whiskies, including a fantastic limited release produced for The Oak Barrel in Sydney (which Steph kindly bought me a bottle of as part of my birthday present last year), but the core range has remained the same. Until now that is, with this Bourbon cask release, released late in 2013 initially as a limited run of 170 bottles (#1 fetched $2,500 at auction), but with more to follow in 2014. ..and a bloody good thing that is too, as this is the best Australian whisky I've personally tasted to date. I've always been a fan of Overeem whiskies, and found them to be amongst the best Antipodean whiskies available, but this has stepped it up a notch and proven that Australian whisky really can compete on a world scale. I'm just wishing I got one of the original 170 bottles now (the label on the bottle below says 700mL, but sadly it was but just a sample bottle). Nose: No hint of youth like can be found on some Australian whiskies. Sweet vanilla notes (to be expected), but also strong apple notes. Very strong! Also, pears. Fantastic nose. Palate: Big sweet hit at the front of the tongue initially. Overall quite light on the palate, slightly floral, but with a big flavour - primarily apples and pears. Very, very smooth. Finish: Surprisingly long. Hot, but never unpleasant. Slightly spicy towards the end. Rating (on my very non-scientific scale): 93/100. As I said above - the best Australian whisky I've ever tried (Steph hasn't tried it yet, but I'm sure she'd agree!) 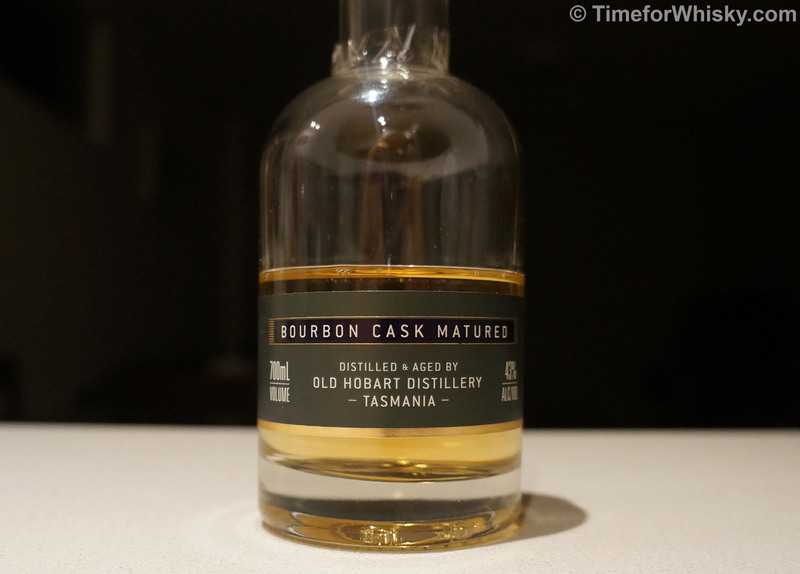 It's unlike any Australian whisky (or bourbon-matured Scotch for that matter) I've tried. If I had to, I'd say it's closest to a Springbank, or Lowland whisky, but with big fruity apple and pear notes...just fantastic. I'll definitely be seeking out a bottle of this.